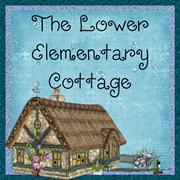 The Lower Elementary Cottage: Last Chance- GIVEAWAY, Fall Linky, FREEBIE! So I just realized that somehow I brought everything home this long 3-day weekend EXCEPT my lesson plan book. How did I manage this? I have 3 curriculum books, my teacher's data notebook, and my emergency sub folder so I can tweak it...yet there is no plan book in this big Mary Poppins worthy bag. Hmm... Looks like I'll have to plan in my head and create materials then write it down in the morning. Oh well. Let's start this off with my newest FREEBIE!! 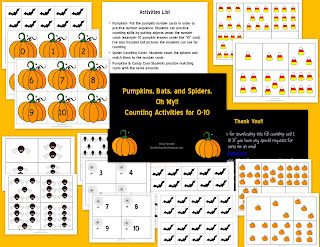 I decided to work in some graphing along with my numbers to 10 unit! 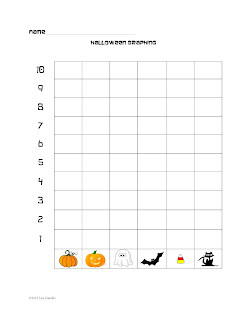 Here's little Halloween picture I made along with a cute and simple graphing activity! I created these in both color and black and white for you! It's the final stretch for you to enter my giveaway, so hurry! I'll announce the winner in the morning. Also, I'm teaming up with The Schroeder Page for her wonderful Fall Favorites Linky. So even more people can get in on the giveaway action. If you don't win, no worries... it's only $2.50 in my TPT store. Thanks for buzzing by my blog! I'm now following you too! 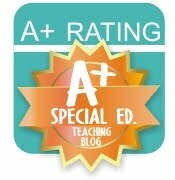 Very excited to have found this blog! Love the graphing activity! Can't wait to check out other posts! This is exactly what I need right now! 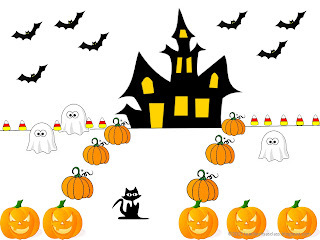 Graphing is taught tomorrow! Thanks a bunch! !